Minding the Gap, directed by Bing Liu and produced by Diane Quon, will make its world television broadcast premiere on the PBS documentary series POV and pov.org on Monday, February 18 at 9pm/8c (check local listings). Find out how to host your own private viewing party of the film, either on February 18 or throughout the two-week streaming window following the broadcast premier on PBS, here. Select 45 lucky viewers will have a chance to win a "POV" branded smartphone camera lens accessory! POV has also published four 'Delve Deeper Reading Lists' for viewers of the film, which can be found here. 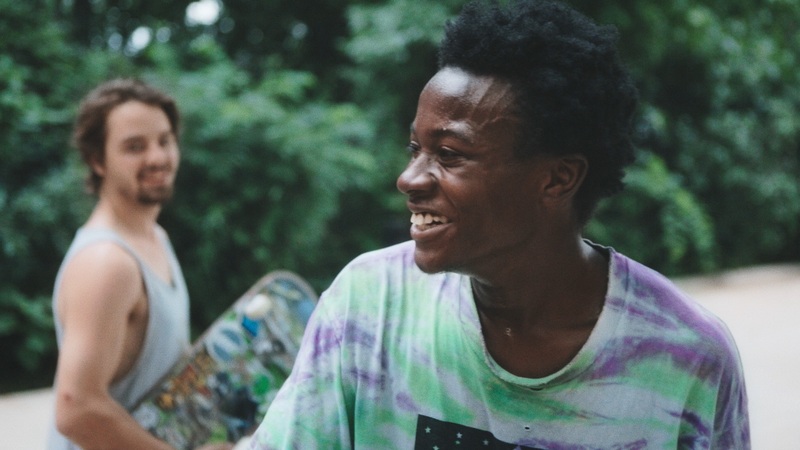 WTTW, in partnership with the Chicago Department of Cultural Affairs and Special Events and Kartemquin Films will present a free screening and discussion of Minding the Gap at the Chicago Cultural Center on February 16th at 2pm. Producer Diane Quon, film participant Keire Johnson, and executive producer Gordon Quinn will be present for a post-screening discussion. RSVP for the free screening here. Minding the Gap had its world premiere at the 2018 Sundance Film Festival where director Bing Liu won the Special Jury Prize for Breakthrough Filmmaking. The film won the Critics’ Choice Documentary Award for Best First Time Director (Bing Liu), and it won two Cinema Eye Honors for Outstanding Achievement in a Debut Feature Film (Bing Liu) and Outstanding Achievement in Editing (Joshua Altman, Bing Liu). The film won the Truer Than Fiction Award in the Film Independent Spirit Awards, the IndieWire Critics' Poll for Best Documentary Feature, the New York Film Critics Circle Award for Best Non-Fiction Film and was a nominee for the Gotham Awards, among many other accolades this year. Earlier this week, the film team had some fun at the 2019 Academy Awards nominee luncheon. The film has recently been featured in the Los Angeles Times, Variety, The Outline, The Hollywood Reporter, and Paper Magazine. Coming up, the film screens in Australia, Canada, Finland, Croatia, Norway, and Sweden – find all upcoming screenings here.